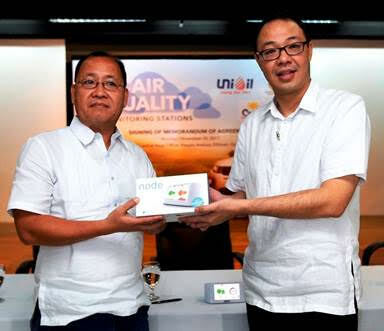 Unioil Petroleum Philippines Inc. (Unioil) has partnered with the Department of Environment and Natural Resources-Environmental Management Bureau (DENR-EMB) to establish a reliable network of air quality monitoring stations in various locations nationwide. 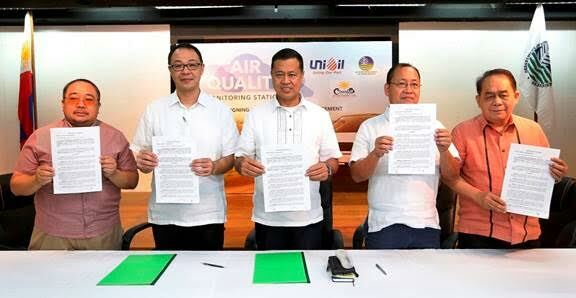 Unioil president Kenneth Pundanera (right) and DENR-EMB Air Quality Management Section Chief Engr. Gerry Capulong present one of the AirVisual nodes that will be installed in Unioil stations to monitor and transmit live data on air quality.